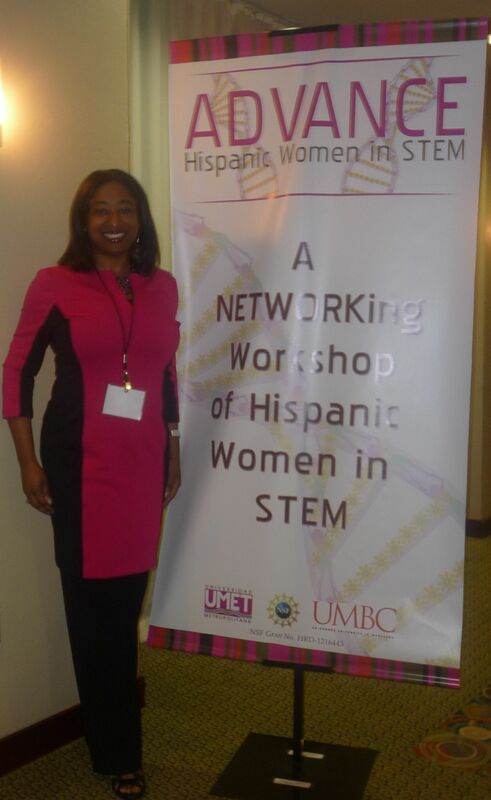 We’ve just concluded the first ADVANCE Hispanic Women in STEM Networking Conference in Puerto Rico, which brought together women faculty in science, technology, engineering, and math disciplines from across the island. It was a wonderful experience! I helped to co-found the conference with my colleagues from Universidad Metropolitana (UMET): Beatriz Zayas (Assoc. Professor of Toxicology), Carlos Padin (Dean of the School of Environmental Affairs), and Molly Hardigree (Assist. Vice Chancellor for Sponsored Programs and Research). We had a fabulous team of advisors, speakers, and evaluators from the mainland U.S. and PR who helped to make the conference a success. This conference was sponsored by the ADVANCE program of the National Science Foundation and was a joint effort between UMET and UMBC, utilizing some of the best practices from UMBC’s ADVANCE program. Our program brought together 50 women faculty from across the island for intensive days of training, sharing, learning, laughing, evaluation, and assessment. We tackled issues of advancement for women in the academy, mentoring, course loads, teaching, community, family, work/life balance, research, and scholarship. El mundo no es perfecto, pero nuestro Dios es perfecto. Nuestras futuras no es una linea, pero nuestro Dios pinta nuestras caminos. No te preocupes sobre tu futura cuando el Señor es tu guia. Por eso, mi amiga, no te preocupes.